The Mitsubishi Electric LCD Display Wall System is the ideal solution for small-and medium-sized control rooms that require high picture quality from displays. It features an advanced technology system that provides intelligence, durability, redundancy and space savings. 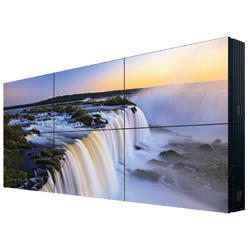 Mitsubishi Electric’s large format display walls for control room, corporate and public display applications use the latest DLP® technology to deliver amazing, high-visibility crystal-clear images. 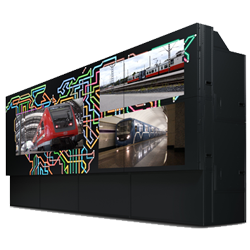 In addition to their outstanding brightness and picture quality, these systems combine high reliability and easy maintenance with a newly designed optical engine and a spectrum of performance-enhancing features for a well-balanced image across the entire display wall area. They also incorporate a long lamp service life compatible with 24-hour continuous operation, and are resistant to picture burn-in.